Racy lid boosts vision and reduces noise. Almost a year since Schuberth first released details of their new SR2 race helmet, the German-made lids are now winging their way to UK dealers. First signs are that it has been worth the wait. 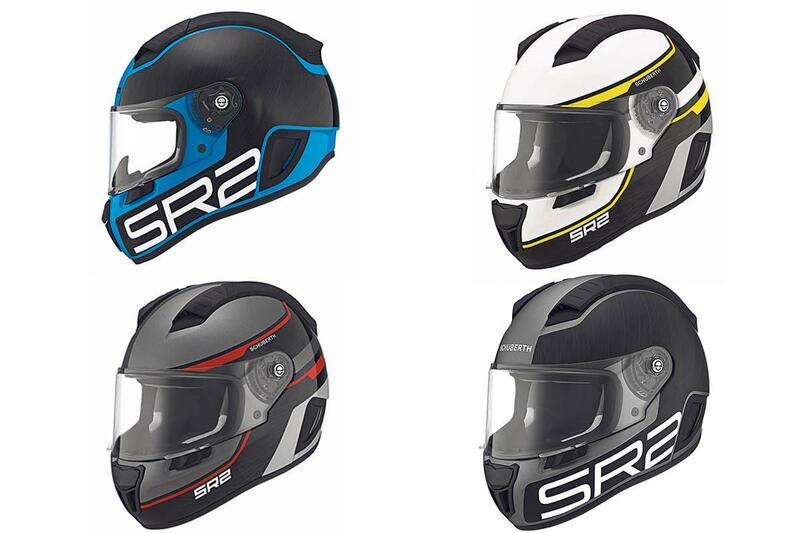 The SR2 is a development of Schuberth’s first bike racing helmet, the SR1. Most of the improvements surround the visor and the aerodynamics. The 2D racing visor is new and helps racers fit tear-offs as well as boosting optical clarity to class one, for the best vision quality while riding. The visor has been developed through Schuberth’s connection with Formula One and it will also have two opening tabs so it can be opened by left or right hand. The other area of improvement is the ventilation system. The scoops over the top of the helmet are lower-profile, which is designed to reduce wind noise for the rider, and Schuberth say it still flows more air over the top of the bonce than the SR1. The noisy inlet that featured on the SR1 has been jettisoned on the new helmet, but the cut-out shape at the back of the neck, which is there to reduce contact between the back of the lid and the aero hump in race leathers, remains on the new design. Schuberth have also redesigned the interior lining, which is made from Coolmax anti-allergenic and wicking material to make sure it dries quickly between sessions, and promise it is a comfort upgrade over the SR1. The new lid is arriving in dealers at the moment and our initial impressions are that it’s a very impressive addition to the market. "I've had an SR2 for a couple of weeks, having previously used an SR1. Schuberth have concentrated on the basics and they've got it right with vents that less fussy and vision that is much clearer."